With Spanish Classes and Latin America Culture our students will learn about the cultural aspects of Latin America. 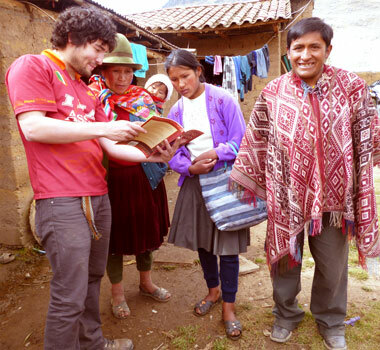 This program combines classes of Spanish with Latin cultural classes and particularly Peruvian culture. As a result of your new understanding of these fascinating cultures you can be sure that you will develop a previously unimaginable love of Peru and Latin America. In the classes you will learn about the colonial period, when the Spaniards dominated almost all of South America and Central America. We will also study contemporary Latin America. In our school we carry out activities such as salsa lessons, cooking lessons, games, and many more. Our school is known for offering the best Spanish Classes in Cusco, and if your level is advanced you can enroll in specialized courses.